The perfect combination of coffee and chocolate, these decadent mocha cupcakes with espresso buttercream frosting are the perfect morning treat, office party offering or after dinner indulgence. With a cup of coffee of course! Oh I think we’ve hit the goldmine this time! These cupcakes are vying for the top spot in my cupcake corner repertoire. These delicious treats feature rich chocolaty flavor and decadent espresso frosting that gives a hint of coffee, I topped the fantastic espresso buttercream frosting off with a drizzle of [easyazon_link identifier=”B00NOEZ57W” locale=”US” tag=”homefoodjunk-20″]torani caramel sauce[/easyazon_link]. I would give the cupcakes a 10/10 for flavor and rich moist texture. See those delicious bits of espresso scattered throughout the frosting? A bit of espresso kick on the backend right there. And kinda classy too. 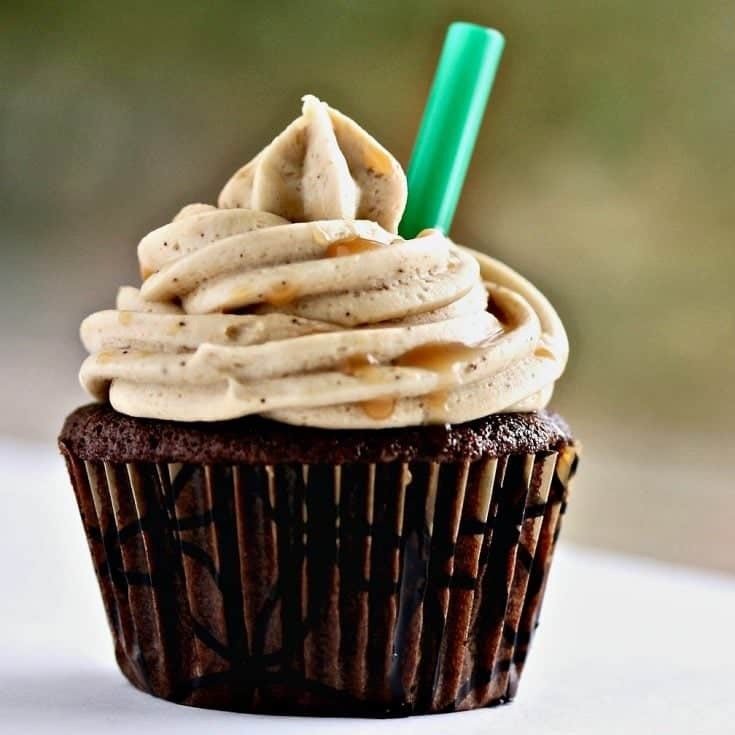 Mocha cupcakes with espresso buttercream frosting have a super light frosting with just enough body to decorate easily. I’ve never baked anything with [easyazon_link identifier=”B002BTI9B0″ locale=”US” tag=”homefoodjunk-20″]espresso powder[/easyazon_link] before and I was pleasantly surprised at how easy it was and how much it enhances flavor. I read up on baking with espresso powder before I started on these cupcakes, the common thread that I kept running into is that it makes chocolate taste richer. I can definitely attest to that, the cupcake by itself boasts a rich, deep chocolate flavor with a hint of coffee. Look at that rich chocolate cake. So tender and light. You can make our scrumptious homemade Buttermilk caramel sauce or just use the Torinis brand. The caramel drizzle is just for fun and completely optional but I highly recommend it. 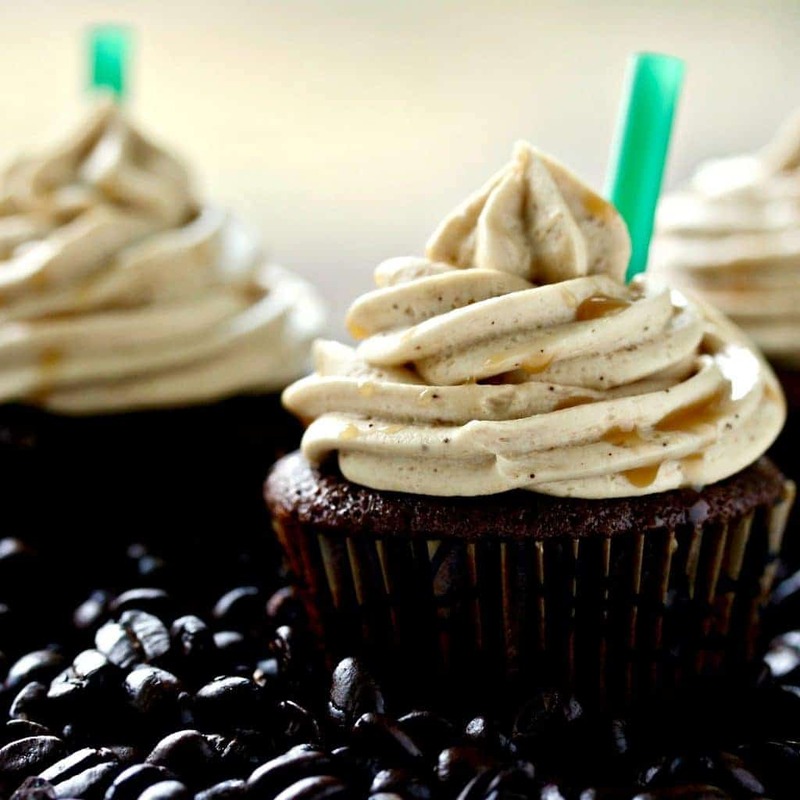 As far as the coffee flavor goes…I have another recipe for coffee cupcakes that I get mixed reviews on. Since its really all about your personal taste preference. I get both good and bad comments on the coffee flavor. Some people love them and say the flavor is just right, others say they want a richer coffee flavor. I’m expecting to get similar comments on these cupcakes, so I’m going to go ahead and give you the freedom to add as much espresso powder to the batter and the frosting as you want! Adjust it to your taste level, just be warned a little goes a long way in the buttercream frosting. I would not suggest messing with the 1 cup of hot coffee measurement. You may end up with batter consistency issues if you add more coffee than that. If you want to play around with flavor, do it with the espresso powder. I hope you enjoy making these cupcakes and you have as much success with them as I did! They are definitely on my list to make again for future events! Please let me know how they turn out for you. Preheat oven to 350 Farenheit. Whisk together cocoa powder and hot coffee, set the bowl aside. In a stand mixer fitted with a paddle attachment, cream together butter and sugar. Add in room temperature eggs one at a time, being careful to not over-mix them. Alternate mixing the dry ingredients with the coffee and cocoa mixture until both are mixed in. Finally, add in the vanilla, milk, and sour cream. Mix until just combined. Fill the cupcake liners around 2/3 full. Bake 17-18 minutes or until a toothpick inserted comes out cleanly. I would like to note that I ALWAYS use room temperature dairy when I am baking. This helps the dairy mix into the batter better and will provide you with a better cake consistency. I set my dairy items out on the counter around 2 hours before I am ready to start baking. One other note about baking cupcakes, when the instructions say not to over-mix the batter, this is a very important tip. I have the best results when I mix the ingredients just enough to combine them in the bowl and not see them anymore (I hope that makes sense) You do not want to flip on your stand mixer and let it just keep mixing away while you are getting the other ingredients together, it really needs to be gently mixed and then turned off. For the straw if you choose to use it. I went to my nearest Starbucks coffee stand and they generously gave me a few. I cut them into short straws and strategically placed them into the frosting. I love that little added touch of classic green coffee straw. It really says Mocha to me. The perfect combination of coffee and chocolate, these decadent mocha cupcakes with espresso buttercream frosting are the perfect morning treat! Preheat oven to 350 Farenheit. And make a pot of coffee. Fill the cupcake liners around 2/3 full. Do NOT fill them to the top. Set out on cooling racks to cool completely before frosting. Add the vanilla and the espresso powder and mix until incorporated. Decorate the cupcakes using a Wilton 2D tip, and create a swirl design. I doubled the frosting recipe initially when I made these cupcakes because of the design that I used on top. It takes a lot of frosting to make that 3 layer buttercream swirl on the cupcakes. If you are using a one layer frosting design, or a shorter one, than you probably just need cut this recipe in half. 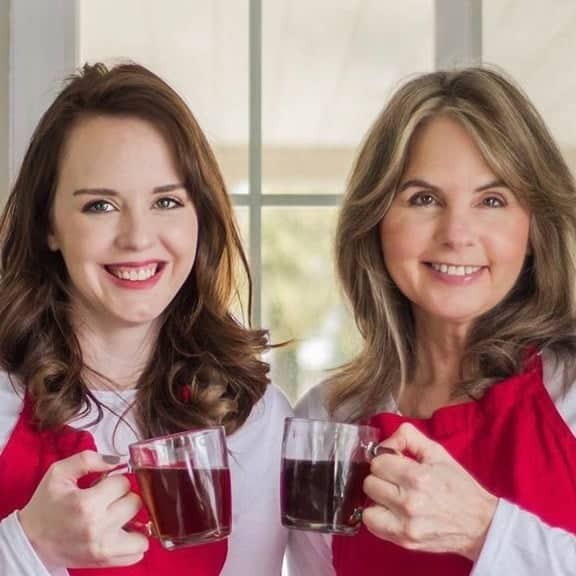 What do you think if I used a 9 x13 pan? Hi Carolyn! That should work if you are trying to turn it into a cake recipe! If you do try it, please let us know how that worked out for you! They look super yum! The straws..what a cute idea, I love it! This would be a great addition to any coffee shop! Nice job Kayti, Thanks for sharing.